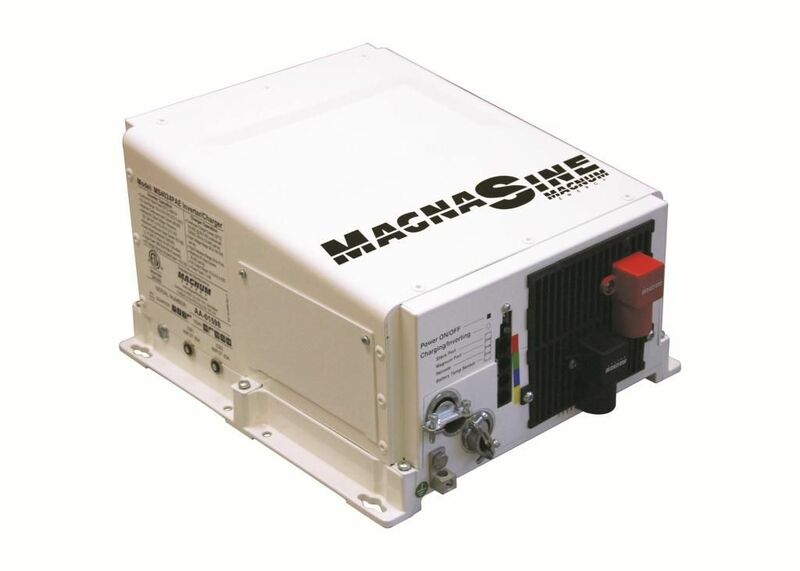 The MS-PAE 120/240 Volt Series Inverter / Charger from Magnum Energy is a pure sine wave inverter designed specifically for the most demanding renewable energy applications. The MS-PAE Series is powerful, easy-to-use, and best of all, cost effective. No series stacking required: The unique design of the MS-PAE Series can provide 120 and 240 Volts output in one unit, eliminating the need to stack two units together to get 240 Volts. Parallel stacking: You can parallel up to four inverter / chargers for up to 17.6 Kilo Watts of power at 120/240 Volt. The magnum panels and router are required for parallel stacking the MS-PAE Series. Power Factor Corrected (PFC) Charger: Our Power Factor Corrected Charger is built into all of our inverter chargers. It uses less energy from a generator than a standard charger – using 25 To 30 Percent less AC current than standard chargers.